Bostonians tend to be a proud bunch — proud of their history, pubs, their beloved Red Sox. 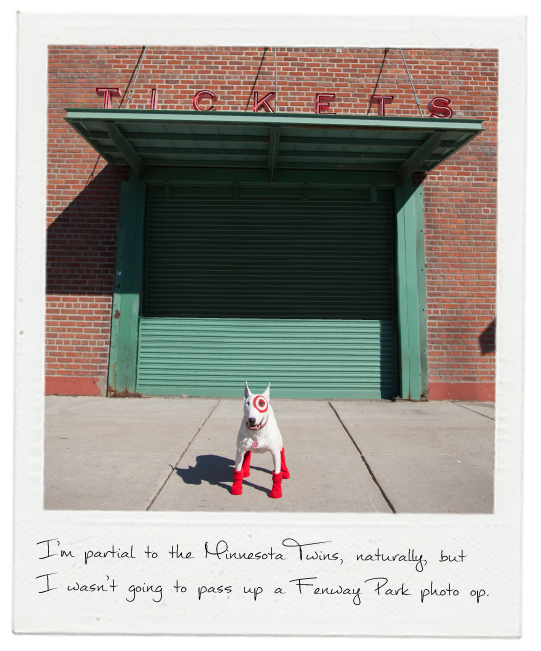 Soon they’ll have another claim to fame: in 2015, the first CityTarget on the East Coast will open near Fenway Park. 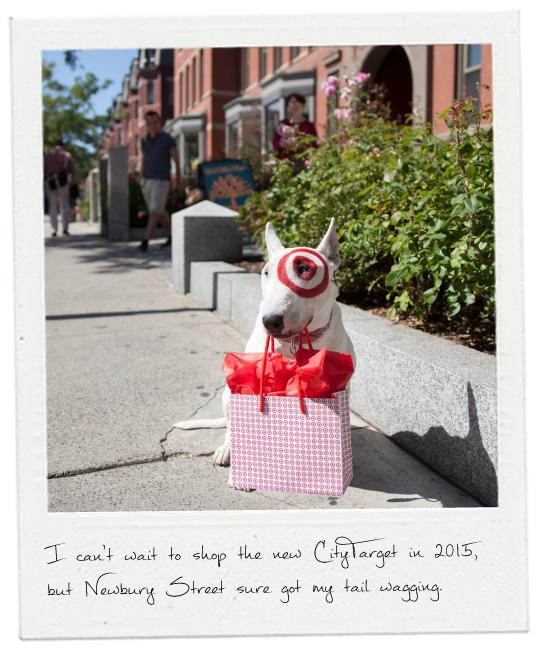 Located on the northeast corner of Kilmarnock and Boylston Streets, a short walk from the Fenway T stop, the newest CityTarget joins sister stores in Chicago, Seattle, Los Angeles, San Francisco and Portland, Ore. 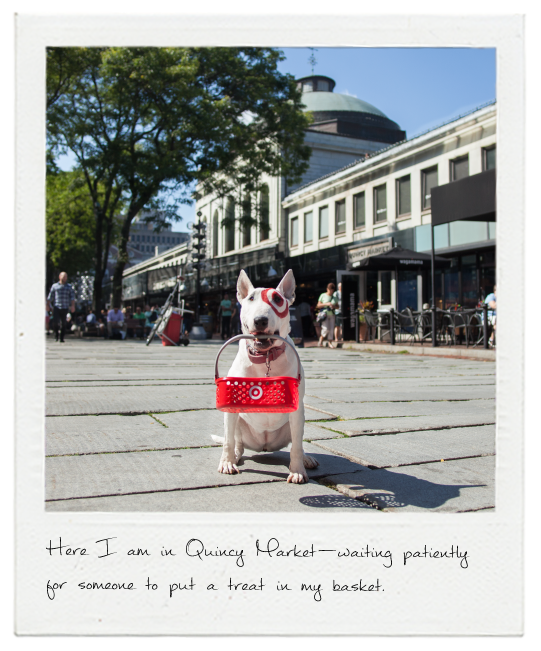 The Boston location will follow the same format as other CityTargets — easy-to-navigate floor plans, an edited assortment across all categories and an in-store experience that caters to urban dwellers. 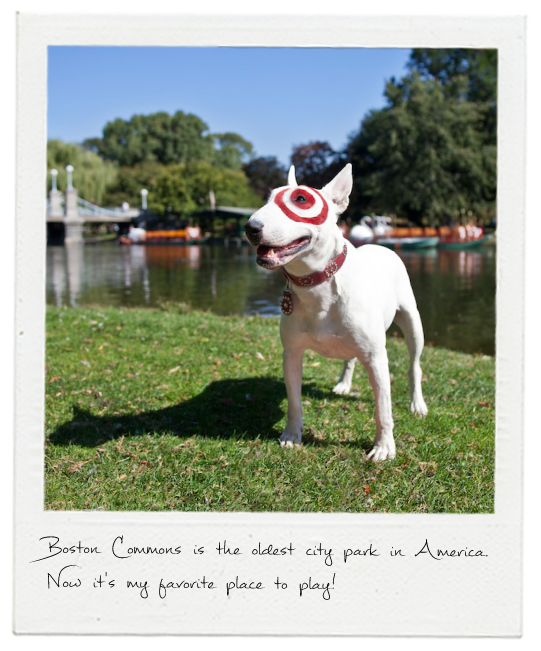 Given the Bostonian guest’s fast-paced lifestyle and insatiable appetite for Target’s latest and greatest, Beantown is an ideal CityTarget location. 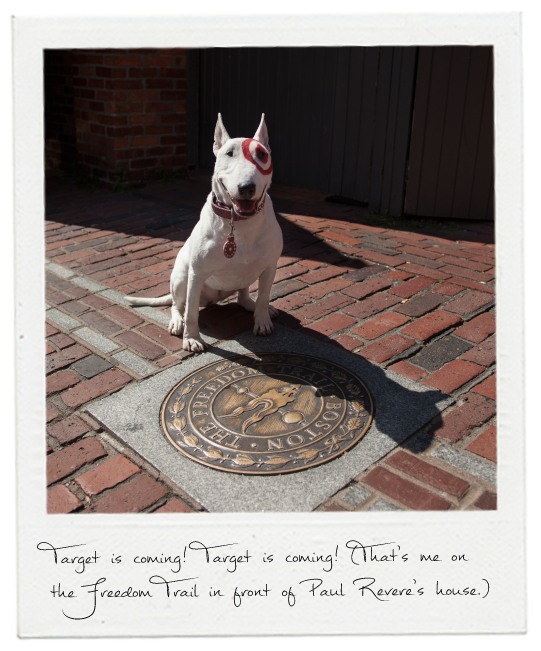 We sent our bull terrier mascot Bullseye to Boston to sniff out our new turf, and take a photo tour of Boston’s most iconic landmarks. 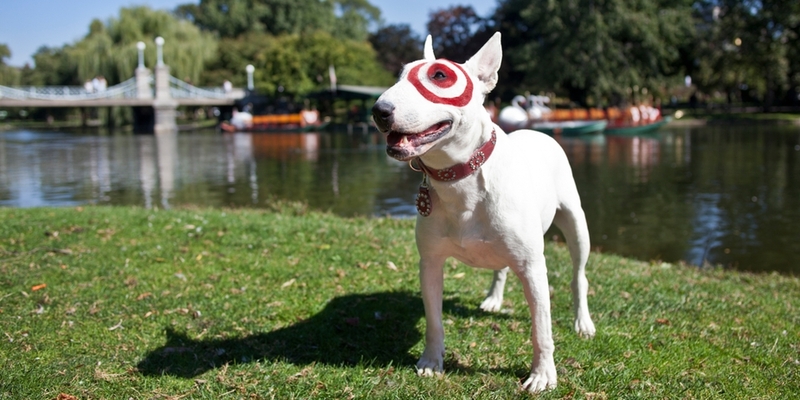 Don’t forget to share your favorite pics of Bullseye. Woof! 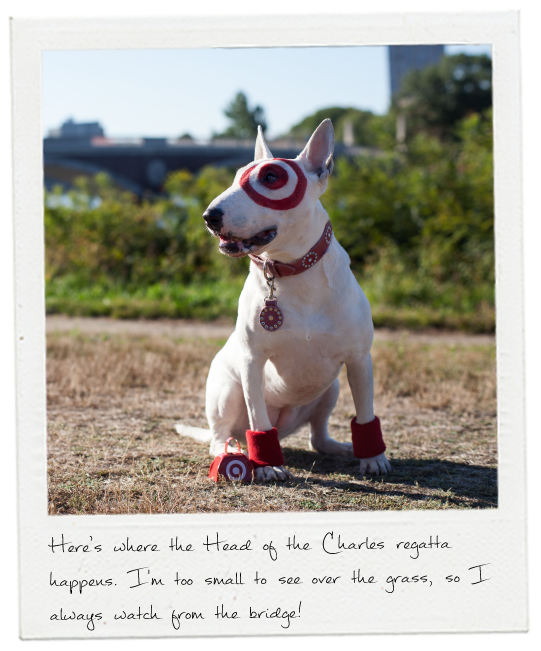 UPDATE: The Boston CityTarget will open its doors to guests in July 2015 – only 6 months away!